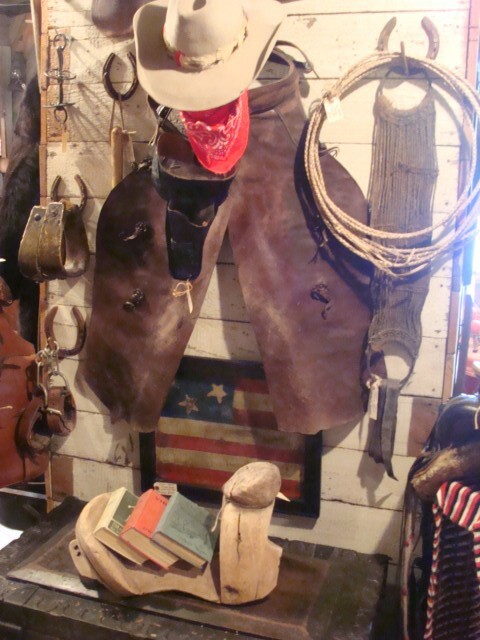 Here are a great pair of well worn 19th century Batwing Cowboy Chaps marked Geo. Lawrence, Oregon on the belt. Please email cowboyron@cowboycabin.com with questions or call 406 270-2842.